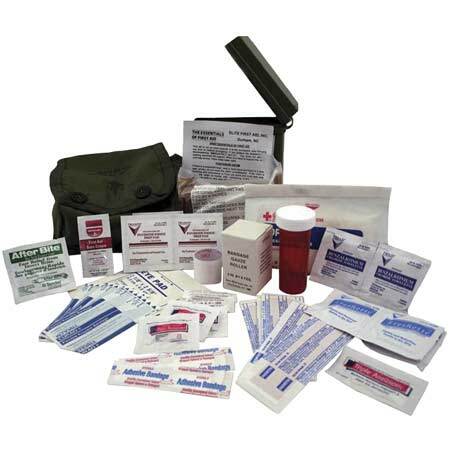 The Elite First Aid Individual First Aid Kit is the same Mil-Spec as the military issue pouch except for an easier to open pull snaps in the front. A well stocked first aid kit can help you respond effectively to common injuries and emergencies. Keep at least one first aid kit in your home and one in you car. Store your kits in easy-to-retrieve locations that are out of reach of young children. 5 - Bandage Strips, 1" x 3"
2 - Sterile Sponges, 4" x 4"